On a lazy Public Holiday like today, I got up really late, at 10am. I took the opportunity to get some online works done the night before knowing that I could get up a little late in the morning. 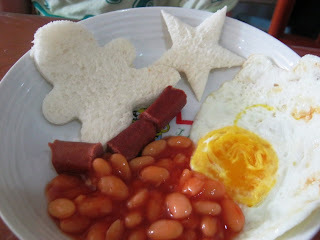 I knew that my girls are hungry at that hour in the morning, I quickly prepared this set of brunch as soon as I got up. 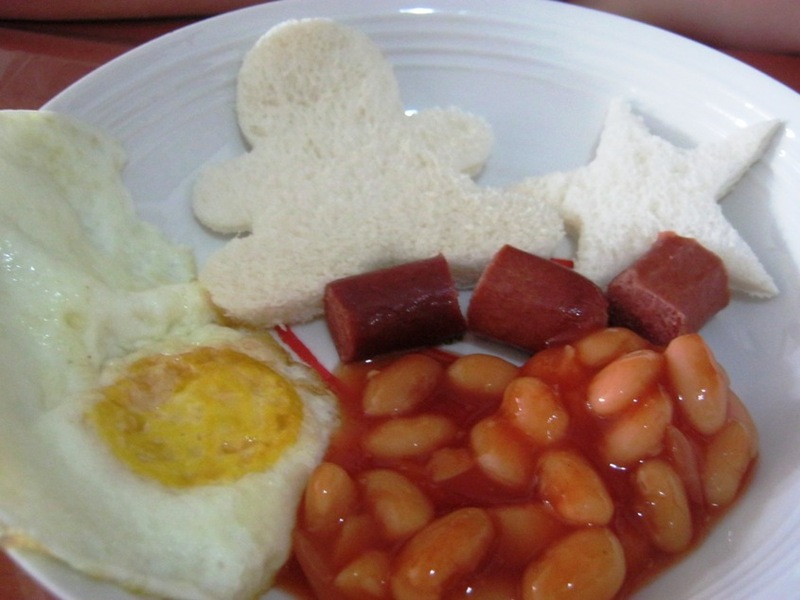 Simple with just bull's eye egg, baked beans, sausages and white bread cut into snowman and star shapes. They had the bread with sliced cheese. I received thumbs up for this brunch, probably they were really hungry :DD Crystal even requested me to prepare Star Shapes cheese sandwiches for her school's tea break bento tomorrow.